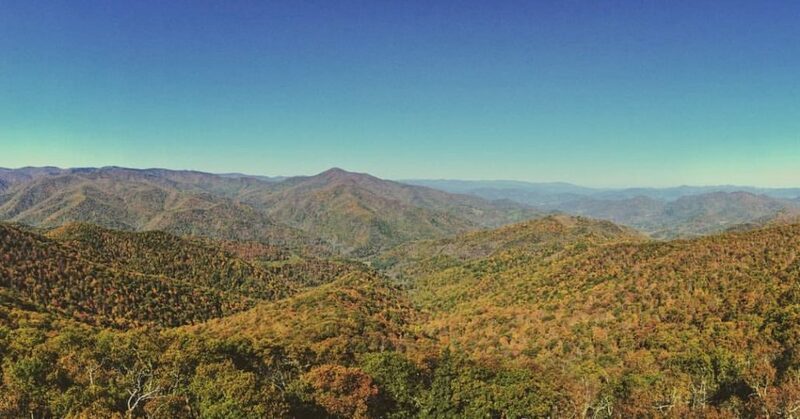 All you need to do to reach one of the better views in WNC is go on this short hike that climbs to a USFS lookout tower offering 360° views of Pisgah National Forest. From the parking area follow the old gravel roadbed up towards the summit and get your camera ready. Make sure to plan a sunrise or sunset hike to the unforgettable peak. Location: Park at the entrance to the Forest Service Road 450, at Milepost 409.6 on the Blue Ridge Parkway. The road gate is always closed (do not block it). Walk around the gate and begin your hike. This section of the Parkway is rarely open during the winter.